ESO Supernova Exhibition — Can we see exoplanets? Stars are bright; planets are faint. 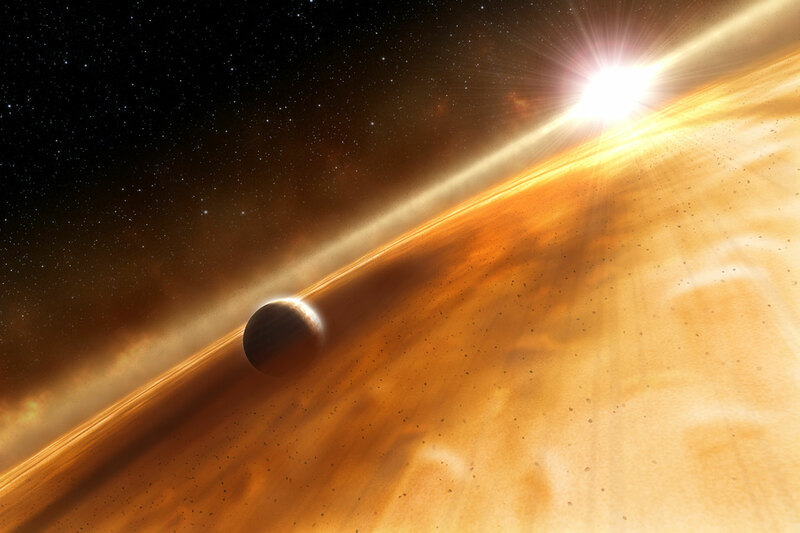 Seeing exoplanets against the glare of their parent stars is as difficult as hearing a cricket during a rock concert. But in some cases, exoplanets have been captured in images. Out of the glare: By blocking the parent star's light, ESO astronomers succeeded in actually imaging exoplanet Beta Pictoris b.
Gotcha! 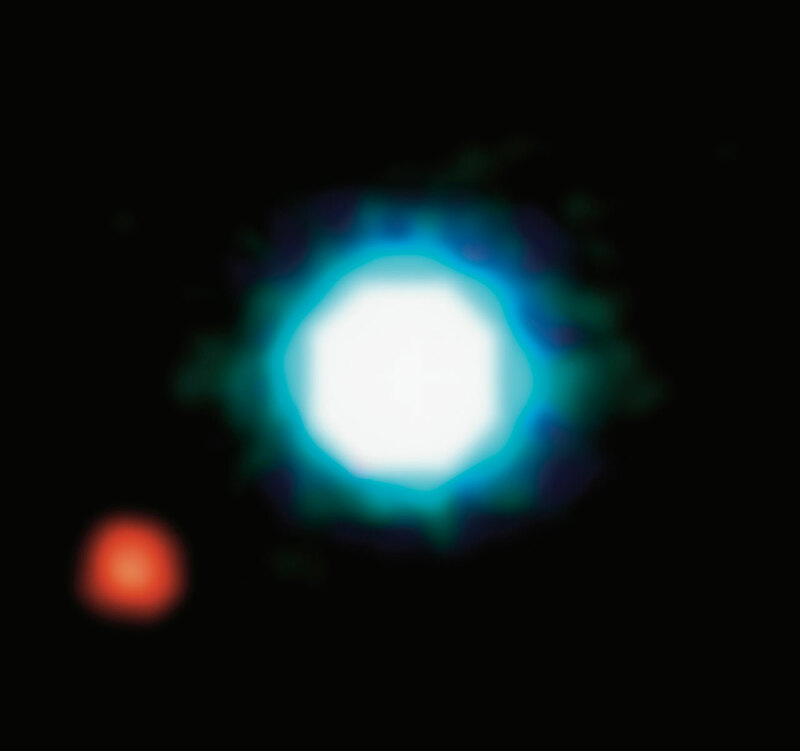 In 2004, ESO's Very Large Telescope captured the faint infrared glow of the giant exoplanet 2M1207b (lower left) - astronomical first. 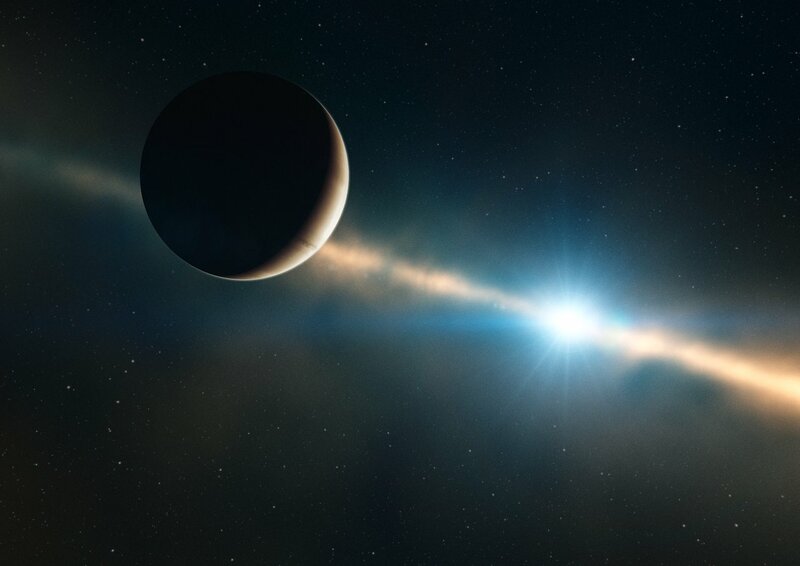 An exoplanet can be more than a billion times fainter than its parent star. At infrared wavelengths, a young, hot planet is easier to spot – but only if you succeed in blocking the starlight. Even then, the star has to be relatively close to us, and the planet has to be big and orbiting far from its star. 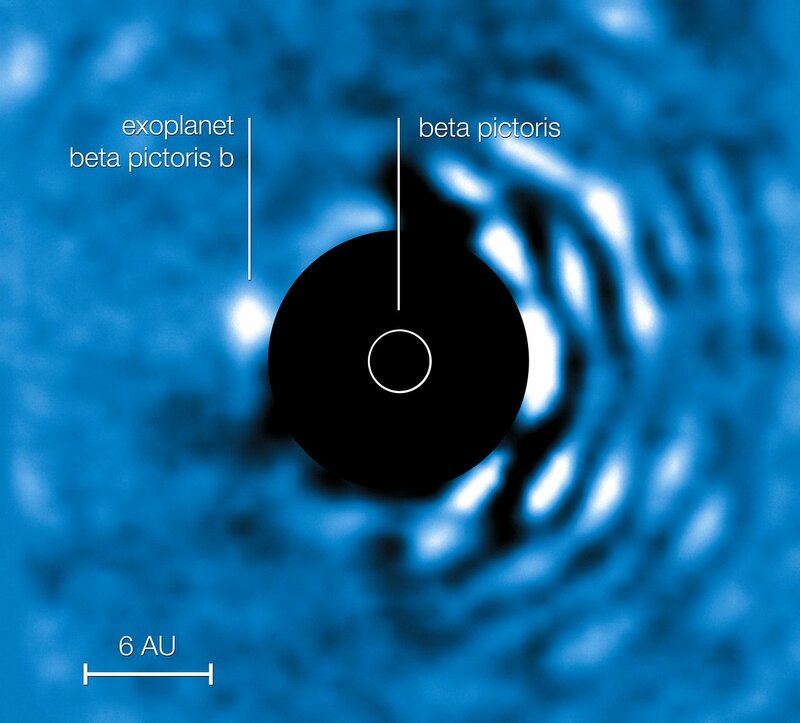 In 2004, ESO obtained the first ever image of an exoplanet. Since then, there have been photos of exoplanets in a handful of other solar systems. Future instruments may be able to actually image Earth- sized exoplanets. Dusty neighbourhood: The young star Fomalhaut is surrounded by a dusty disc, within which the planet Fomalhaut b can be found (artist’s impression). 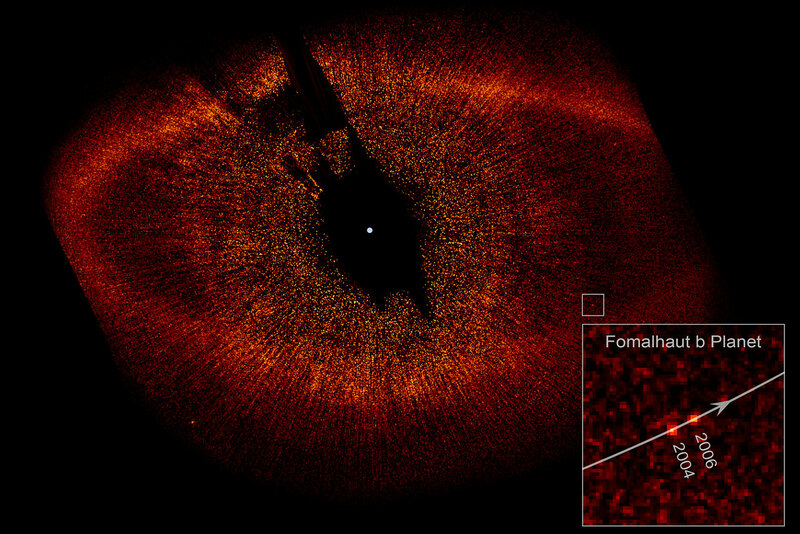 On the move: Exoplanet Fomalhaut b is seen orbiting its parent star in two images from the Hubble Space Telescope. Alien system: Three planets can be seen orbiting the star HR 8799 in this infrared photo from the Gemini Planet Imager. Look at the image above. The light of the star has been blocked. As a result, faint planets orbiting the star become visible – if you’re lucky. How many planets can you see?